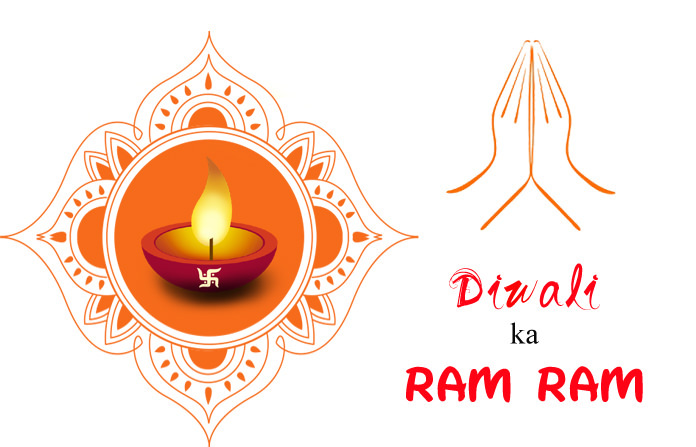 If you are a resident of Uttar Pradesh, Punjab, Bihar, Rajasthan or Haryana, then you must be very much excited about the Govardhan festival which comes immediately after Lakshmi Puja. Celebrating a Happy Govardhan Puja 2017 is something everybody in these states look up to. This festival is all about worshiping Lord Krishna,who, according to the Puranas, picked up the Govardhan Hill on his finger in order to protect the people of a village. 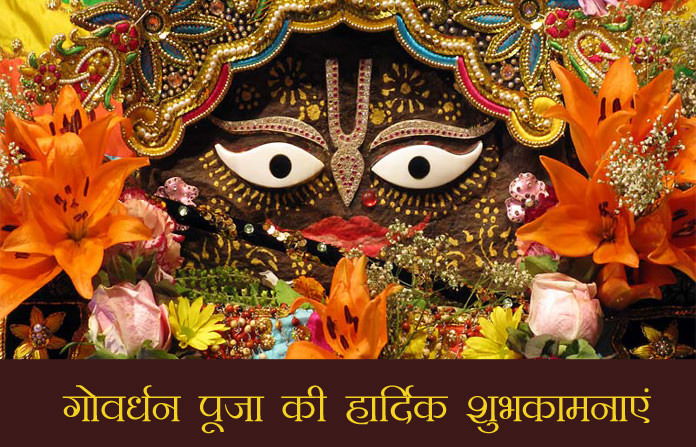 The Govardhan hill is located at Mathura in Uttar Pradesh. Thus, all you have to do is to believe in the power of Almighty and seek for blessings of Lord Krishna in this holy Govardhan festival. Annakut is another name for this festival which means offering foodto the mountain. After making small blocked mounds of cow dung, it is decorated with flowers and in this way, Happy Govardhan is celebrated in the northern part of the country. 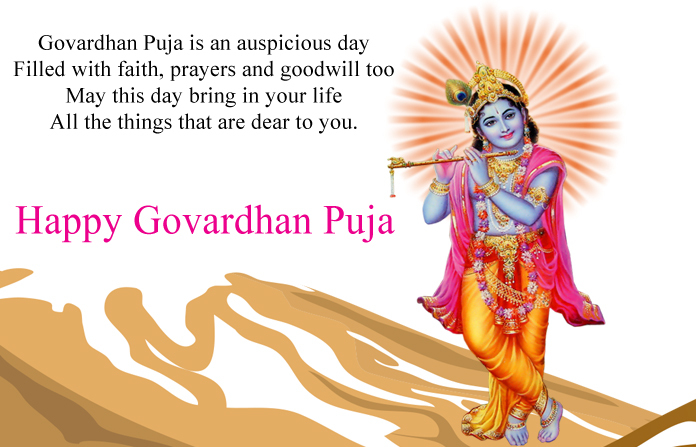 We have compile some of best Happy govardhan puja quotes, wishes msg, Diwali ka ram ram SMS, lord krishna shayari, sms and whatsapp status in Hindi and English both languages.